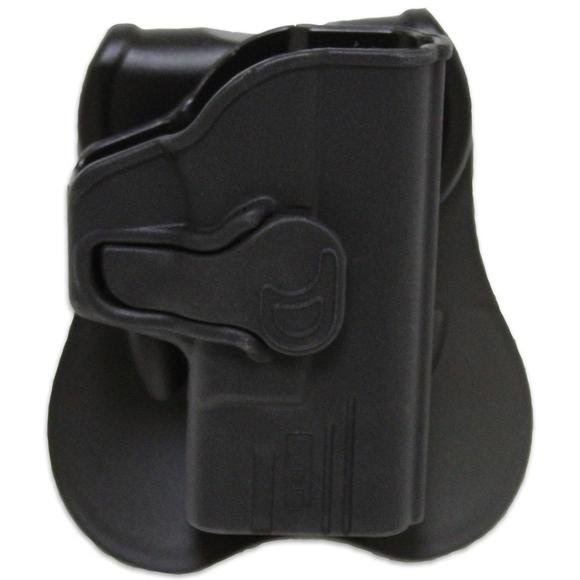 The Cytac™ Polymer Roto-Holster is designed for 360° position adjustment. The draw position is customized by adjusting the angle with attached Allen key. This Cytac™ Polymer Roto-Holster has five attachment options. Paddle included with this style. Other attachment options must be purchased separately. Rotates 360 degrees for every application(i.e. small of back,cross draw) for ultimate versatility. Adjust the holster cant easily with included Allen key. Comfortable soft silicone paddle securely fits holster to belt. Fast and easy draw while still providing great retention. Holster has a quick-release/quick-locking button that allows for qucik draw and automatic locking when your gun is reholstered.